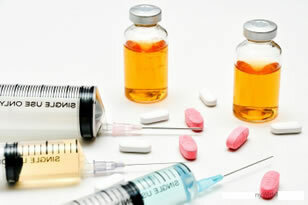 What’s Different Between HCG Drops and Injections? Many people ask us, why should we do drops instead of injections? We don’t advise people to do one or the other necessarily. This is entirely up to the individual, their goals, and how much they can afford to spend on the program. Injections need to be taken every day, but they require fewer dosages each day than drops. However, the two options are not always the same in other key areas. Many people believe that when they buy homeopathic or hormone-free HCG drops they’re getting the same dosage of the hormone as they get from injections, and this simply isn’t true. These products rarely, if ever, actually contain the real hormone. In reality they just don’t provide the same results. Real HCG drops, like our product HCG Plus, does provide the same level of HCG as injections and is one of the few brands that does. As a result it requires the same care as injections (refrigeration and a finite shelf life once mixed). When selecting between oral drops and injections, however, there are numerous things to consider. Is the pain worth injections? Are they more effective? Is the price affordable for your needs? Injections carry with them some great benefits. For example, studies on their use show they are a powerful way to administer HCG as the hormone goes directly into the person’s bloodstream without needing to be processed by the body’s metabolism. In addition, they only need to be taken once per day and they don’t require any preservatives or additives. However, there’s also some major downsides as well. It’s expensive, it’s painful and it’s difficult to find actual HCG powders. Oral drops of HCG are much simpler to take than injections. You simply place them under your tongue each day and allow the HCG to be absorbed therein. HCG drops are a lot easier to take each day, but you do have to take them several times per day. For HCG Plus, you take 5 drops of the product 3 times per day. There are also some pitfalls with taking HCG orally. Not all products are created equal. 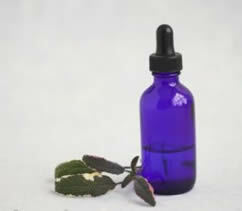 Many people unknowingly purchase and use fake products, marketed as either homeopathic or hormone-free. These don’t contain any of the actual hormone at all, and are just usurping the HCG name. The instructions for taking HCG Plus varies depending on which protocol you’re doing, the modern approach or Dr. Simeons original method. However, regardless of which one is chosen the dosage of HCG you take each day is the same with the product. You want to aim for 150 to 200 IUs, as taking HCG orally is not quite as effective with the same dosage level as injections. This is equivalent to 15 to 20 drops per day (or 1 mL specifically). This is all that’s required for the drops to generated equivalent results to daily injections. HCG drops are a powerful alternative to injections that’s both cheaper, can be sent anywhere and doesn’t require a doctor visit to get a prescription if it’s premixed. Our product is one of the few real HCG drops products out there, so it’s important to avoid the others that don’t contain the actual hormone. If you take a homeopathic product instead of the real thing, you will not achieve anything close to what you could with real injections or drops. This article was posted in HCG protocol.